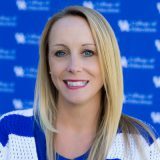 The University of Kentucky Department of Kinesiology and Health Promotion offers a Graduate Certificate in Health Coaching. Health Coaching has been defined as, “…the practice of health education and health promotion within a coaching context, to enhance the wellbeing of individuals and to facilitate the achievement of their health-related goals.” The aim of the Graduate Certificate curriculum is to provide a foundation in current behavior change theories/models, motivational interviewing, as well as understanding of current health issues. Students may complete the certificate as a complement to a graduate disciplinary degree program or as a stand-alone curriculum. 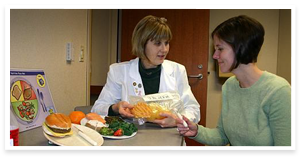 Students who are currently enrolled as a graduate student in a department at the University of Kentucky are encouraged to apply for the Health Coaching Graduate Certificate program early in their graduate studies. Applications are accepted throughout the year and are considered on a rolling admission basis. Note for current M.S. Health Promotion students: Students who are enrolled in the M.S. in Health Promotion program are eligible to count up to 9 credit hours from their program, requiring them to take six additional credit hours (on top of their M.S. curriculum) to complete the graduate certificate. Students will be able to identify and apply theories and models specific to health education, health promotion, and health behavior change. Students will be able to apply health promotion philosophical principles to their health-coaching career. Students will have the skills required to be an effective health coach with a basis in health education and health promotion behavior change. Students will participate in practical application of skills, culminating with an internship experience in the field of health coaching. **Applicants who are not currently enrolled in a graduate degree program at the University of Kentucky must first secure admission to the Graduate School as post-baccalaureate students. For information on requirements for post-baccalaureate admission to the Graduate School, please contact the Graduate School directly or see the information online. Please send to the Graduate School all and only the materials they require for application. Please send to the Faculty Director of the Health Coaching Graduate Certificate all and only the materials we require for application (see above). Admission to the Graduate School must, in all cases, precede admission to the Health Coaching Graduate Certificate curriculum. Please notice that some requirements for the Health Coaching Graduate Certificate curriculum exceed minimum requirements of the Graduate School for post- baccalaureate status. For this reason, as well as others, admission to the Graduate School does not guarantee admission to the Health Coaching Graduate Certificate curriculum. Students who are already in a graduate program will have the $65 application fee waived. Students applying exclusively for the certificate will be charged the standard $65.